No one is surprised by images of agricultural ruins in a world where "reclaimed barn wood" is an interior decorating trend. Images of old barns are a popular way to keep nostalgia for the past--re-imagined as somehow better than the present--ever before our eyes. I have always preferred photographing industrial ruins because they are still shocking to us. 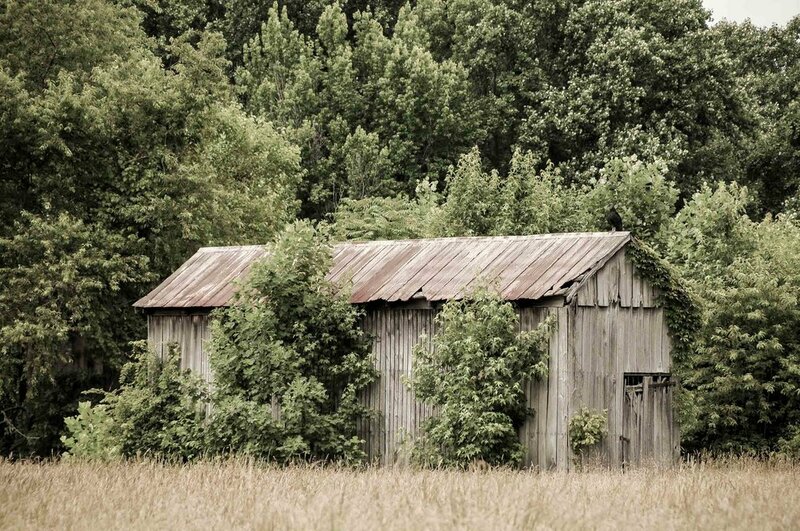 Old barns have faded into the past, but we find it difficult to envision our present-day world changing so drastically. In the 18th century, agriculture was the ruling class in this part of America, just as corporations are the ruling classes of our time. So, in the context of a day trip to three slave plantations in Southern Maryland, I stopped to take photos I normally would not have taken time for. Just as time and the forces of nature have reclaimed the artifacts of the agricultural ruling class, so they will claim the rulers of our era. That is inevitable. What remains to be seen is whether we've learned anything.